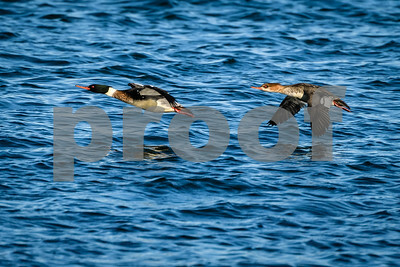 A male and female Red-breasted Merganser (Mergus serrator) inflight. 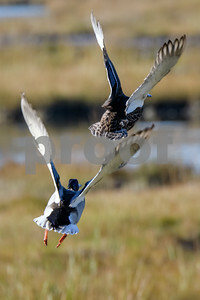 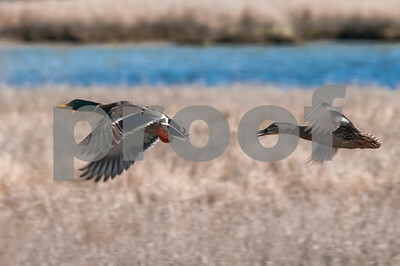 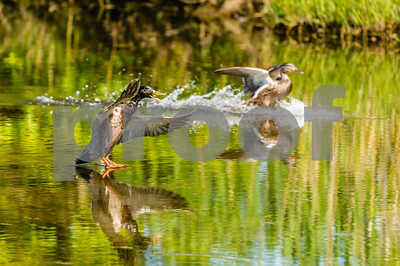 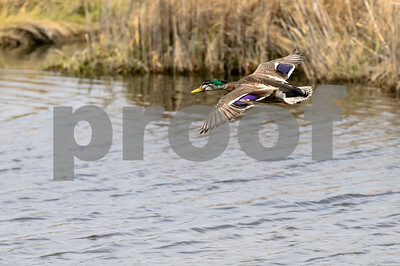 Two Ducks land in a salt marsh. 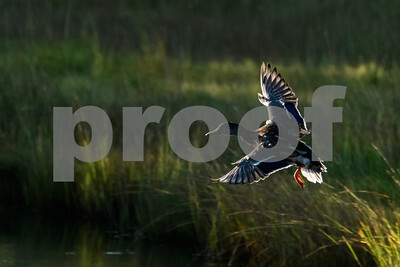 A Mallard duck, backlit by the early evening sun, drops into shaded area of a saltmarsh.